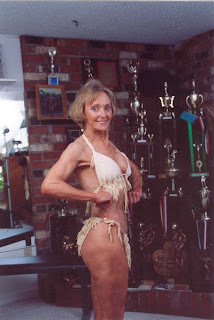 There are a lot of folks who believe they need to wait to exercise and be active until they can't stand what they look like in the mirror or when they get old enough to where their body doesn't work the way they would like it to work. 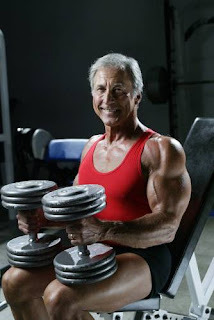 There are even some folks that believe that they are too old to workout and be intensely active. I say RUBBISH to those thoughts!!! It is never too late to be active in some capacity. It is what you do that matters for you. Ninety percent of the way you look and feel is based entirely on your eating habits and dietary lifestyle. The rest is then activity related. You can do everything right in your exercise routine, have not so great eating habits, and experience little to no results. Cardio is the smallest portion of the equation. Many, many people focus on spending hours and hours and hours performing inefficient cardio routines. One very productive way to produce very high results when being active while performing cardio is interval training. While performing interval cardio your goal should not be to burn "X" amount of calories while training, but to get your heart rate as high as you can in bursts of highs and lows called intervals. The time can then be condensed to no more than 20 minutes as long as the intensity is high. Most of my clients cardio sessions are only 12-20 minutes long. It's the "afterburn" that you're after. Normal cardio puts your body into a "steady state" where your heart rate is the same for 30-45+ minutes. You burn a decent amount of calories while performing the workout, and up to about an hour or two post while your body is recovering, but that's about it. The afterburn stops short. By performing the high intensity intervals you will create an afterburn effect of a higher calorie burnage over a 24 hour period. That's being very productive! Then as long as you have great eating habits and continue to be active during that 24 hour period you will keep that afterburn going strong in your favor. The results couldn't come fast enough if you're being efficiently active. The next piece of the equation is resistance training. A lot of folks don't perform regular resistance activities and try to depend solely on cardio. You should never leave resistance training out of your regular activity. This is actually more important than cardio activities. Resistance training is an absolute necessity. It promotes muscle and keeps your body from losing muscle. The more muscle you have the higher metabolism is and that's a great, great thing! There are many ways to be active and perform regular resistance activity in order to make it effective, efficient, and fun. If you're smart about it you can even Kill Two Birds With One Stone by combining cardio and resistance together. More to come on the specifics of that, but for now begin uping your overall activity intensity. I encourage you to find a good Boot Camp for a workout you don't have to come up with on your own and rest assured it will definitely be intense enough for you. As we age it doesn't mean we should be active even if our body isn't cooperating as we would like it. In fact it is very important for longevity to be active in some capacity on a daily basis. Do what is enjoyable for you and do what works for you. Some folks really enjoy resistance training while others more cardiovascular. Other don't enjoy gym style work at all and want to play with Kettlebells and other odd objects such as sandbags, kegs, Indian Clubs, heavy stones, sleds, ungulate thick ropes, and more. You can even be active by playing your favorite sports. The point is to always be active every day in some way. 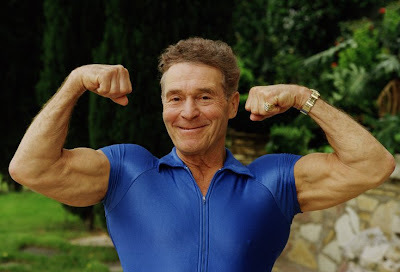 What seems to be common among super seniors is a life-long commitment to natural living based upon a healthy diet of only natural foods; exercise both cardiovascular and weight-bearing, and positive thinking alongside a strong spiritual life. Some great examples are the people below. If you are young looking at this pay attention and remember these faces and bodies. 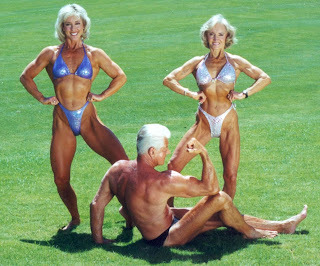 Make a lifelong commitment to yourself to be like them. If you are grown understand that it is NEVER too late. Start now if need be and work hard every day to be the best you that you can be! 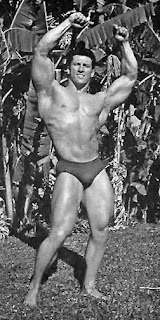 Kelly Nelson at ages 52 and 72. Doesn't she look 20-30 yrs younger than her actual age?! Wow!! !